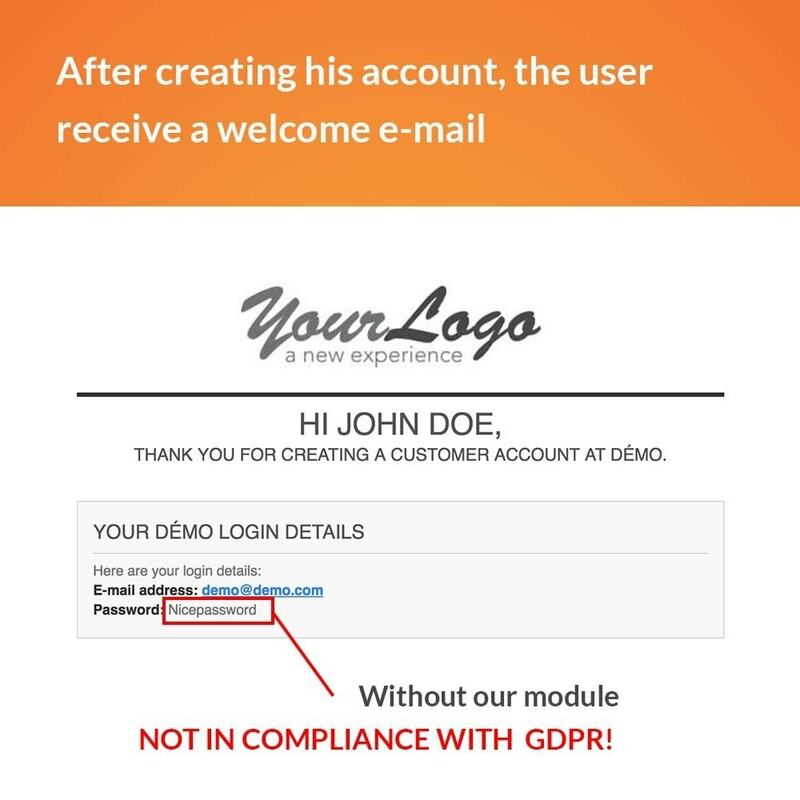 Make sure that your PrestaShop store is in compliance with the GDPR! Don’t send anymore clear user’s password by mail. 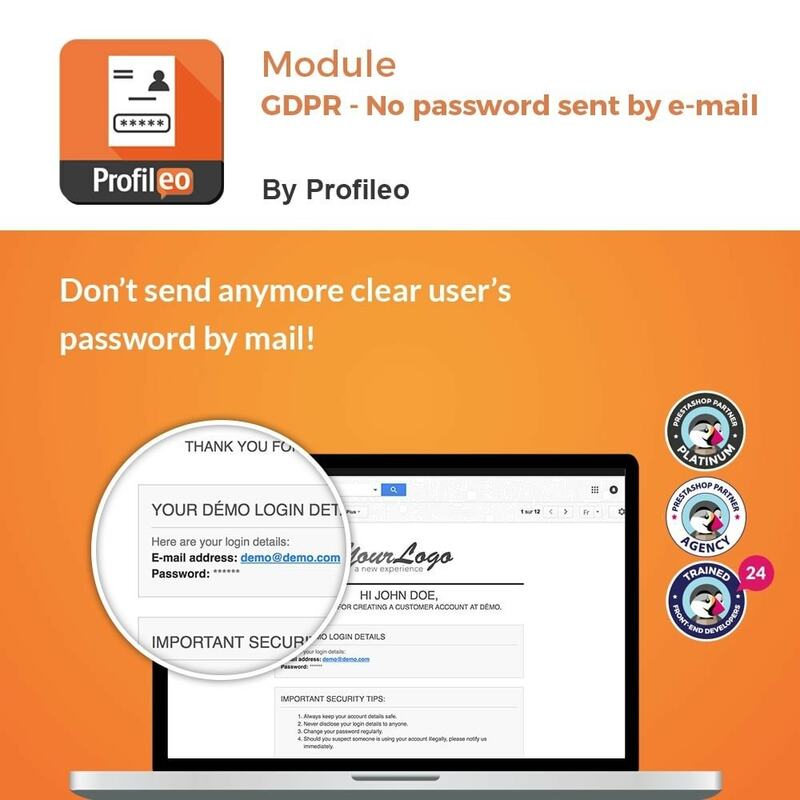 This module allows you to comply with this aspect of the GDPR. Make sure that your PrestaShop store is in compliance with the GDPR! Don’t send anymore clear user’s password by mail. Put your PrestaShop store in compliance with the GDPR! Encrypt the personal data of your customers in your database to avoid any fraudulent use. 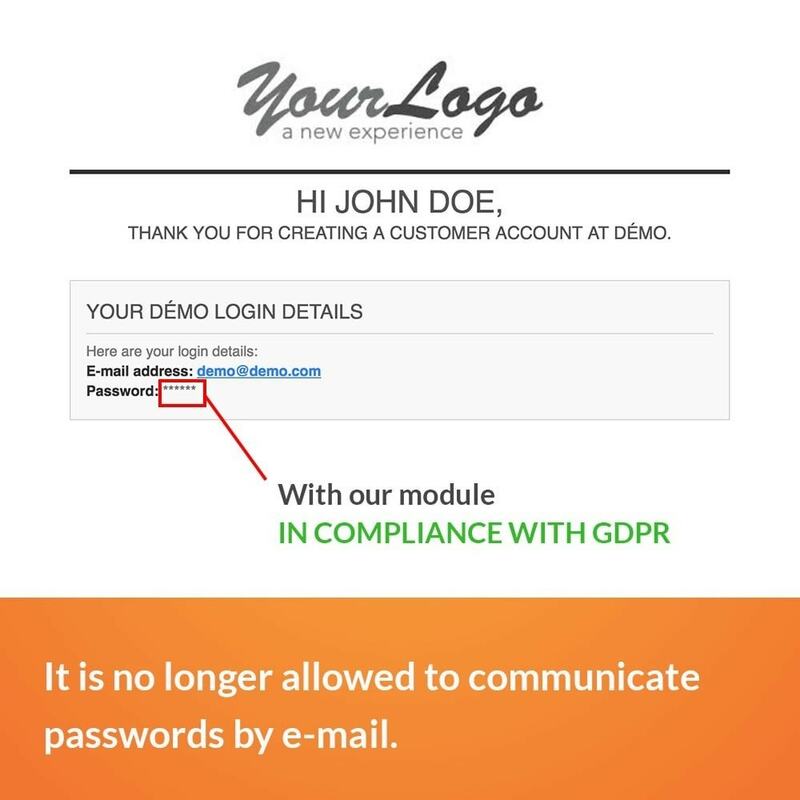 They will know that you do not send their passwords by email, so they can see you are in good standing with this aspect of the GDPR.